Greater Manchester leaders have today unveiled an ambitious plan to improve the health and wellbeing of people with Chronic Obstructive Pulmonary Disease (COPD), as part of a headline session at the national conference for the Association of the British Pharmaceutical Industry (ABPI). Health Innovation Manchester will bring together resources from the NHS, social care and pharmaceutical industry to ensure that every person with COPD has access to equitable, high quality care. This will involve developing personalised treatment plans that are based on up-to-date research and the most effective medication. The holistic approach will also have a greater emphasis on self-management, smoking cessation, physical activity, mental health and reducing social isolation. The approach is being supported by the devolved Greater Manchester Health and Social Care Partnership and the ABPI as the pharma industry body. COPD is the fifth biggest killer in the UK and it costs the NHS more than £1 billion annually. There are around 67,000 patients diagnosed with COPD living in Greater Manchester and cost of managing associated hospital admissions and medications is around £73 million each year. In fact, the city-region has the second highest admission rates for COPD in England. 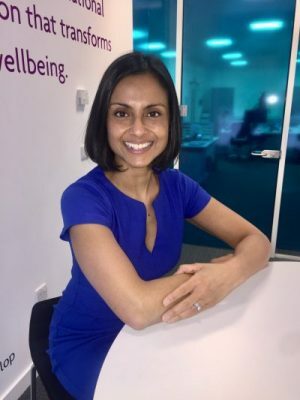 Consultant Chest Physician, Dr Binita Kane, is the clinical lead for Health Innovation Manchester. Upon launching the programme, she said: “Living with COPD can be very distressing, especially when problems become more severe and people experience extreme breathlessness. “Too often within the current system patients are diagnosed late on and not enough time is dedicated to education or self-management support, so people end up being admitted to hospital when they could be better managed within the community. The COPD programme builds on the ground breaking Salford Lung Study, the first randomised controlled trial of its kind to use a digitally connected healthcare system to measure the effectiveness and safety of a medicine in 2,800 COPD patients in an everyday clinical practice setting. Based on the latest body of research, the Greater Manchester Medicines Management Group have developed clinician-led guidelines for medicines management in primary care, which will be promoted as part of the programme, in partnership with industry. As part of the launch, Dr Kane was joined at the ABPI conference by Professor Martin Gibson, Chief Executive of NorthWest EHealth to provide an overview of how the COPD programme has evolved from Salford Lung Study, through medicines optimisation to implementation.